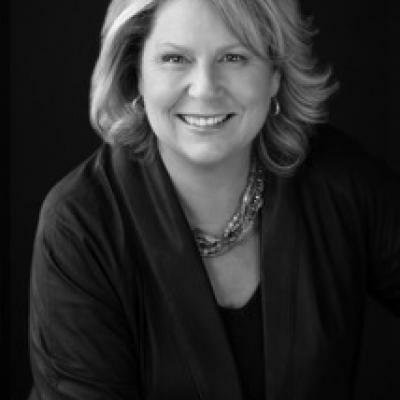 Kimberly McNally brings 20+ years of experience in executive coaching, board/governance development, team facilitation, culture change, and leadership skills training, primarily serving health care leaders and boards. She is founder and President of McNally & Associates, where she partners with clients to build leadership capacity, strengthen leadership presence, increase alignment and collaboration, and accelerate effectiveness. Her mission is to improve health care one conversation at a time…from the point-of-care to the boardroom. Kimberly has coached all levels of leadership including Board Chair, CEO, COO, CNO, CMO, CQO, VP, Department Directors and academic leaders. Starting her career as a registered nurse and eventually serving as a Board Chair for an academic medical center, Kimberly is uniquely qualified to coach current and emerging health care leaders. Her client portfolio includes hospitals, health systems, academic medical centers, community health centers, ambulatory surgery centers, home care agencies, residential/long term care facilities, physician practices, medical technology companies and health plans. In addition, she has served leaders in higher education, public school districts, trade associations, housing authorities, and public utilities. Kimberly received her Master of Nursing degree from University of Washington and her Bachelor of Science in Nursing degree from Saint Anselm College. Before starting her firm, Kimberly held leadership and clinical positions in academic medical center, community hospital and for-profit psychiatric settings. She progressed to operational and strategic roles in OD & T for a community hospital and service delivery/account management for a health care start-up company. Kimberly has served on non-profit boards for 30+ years. She is active in health care governance at local, state and national levels and is involved in efforts to prepare more nurses to serve on boards. She serves as a consultant on governance to the National Association of Community Health Centers (NACHC). As a trustee, she has been actively involved in creating policies, structures and systems to improve quality and safety, advance diversity and inclusion, and reduce health disparities. Previous board service: AHA, Health Research & Education Trust, Washington State Hospital Association, UW Harborview Medical Center, Empty Space Theater, Seattle Mental Health. Facilitated and coached individuals and teams in more than 125 organizations nationally and internationally. Co-authored The Nurse Executive’s Coaching Manual, published by Sigma Theta Tau, which was recognized with an American Journal of Nursing 2010 Book of the Year Award in the leadership/ management category. See https://mcnally-assoc.com/publications/ for listing of additional publications. Received an “Authentic Leader” award from NW Organization of Nursing Leaders.